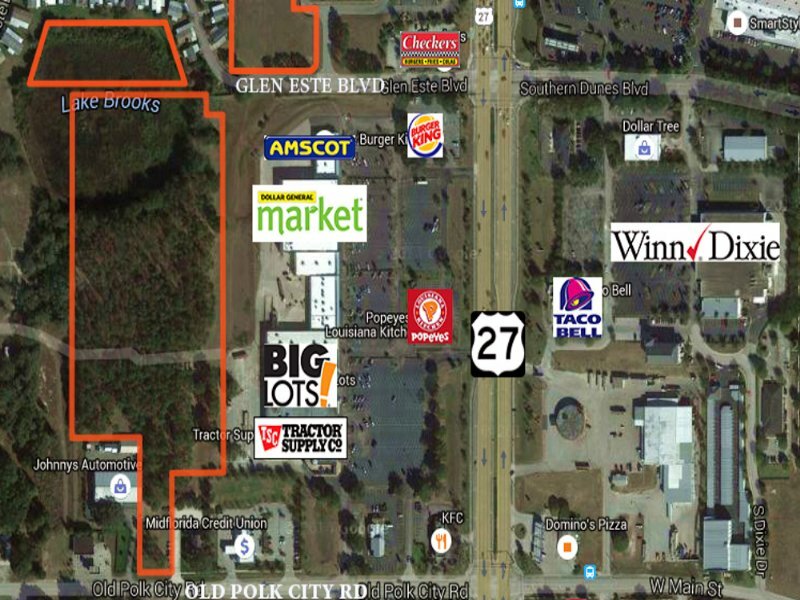 From I-4 & US 27, drive south for 9.9 miles to Glen Este Blvd. (Checkers Rest. at corner on right), turn right and see subjects on left. To access the 13 acres from Old Polk City Rd, proceed south on Us 27 1/4 mile from Glen Este Blvd., turn right to site on right driveway is near the Dog House (white building after credit union). When calling broker, please say, "I found your listing 13.15 Acres Mixed-Use Commercial on COMMERCIALFLIP."